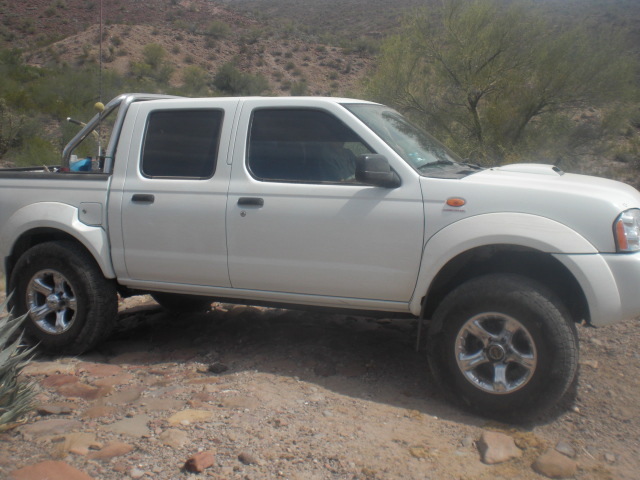 Nissan Frontier Forum > Nissan Frontier Forums > Navara - International > Where can I find a D22 Navara front bumper? Where can I find a D22 Navara front bumper? 2001 Frontier Crew 2WD Short Bed. 2010 Titan wheels. I have this stuff in stock for smash jobs. they are available on ebay with international shipping man, just look it up? Hey there, I too am looking for the front bumper and grille from a Navara/NP300. Silver would be nice, but not a deal breaker. I searched the UK eBay, but NONE of them offer shipping (post) to the US. My current bumper and grille (1 piece) has seen better days and if I am going to replace it, I prefer the newer international look. 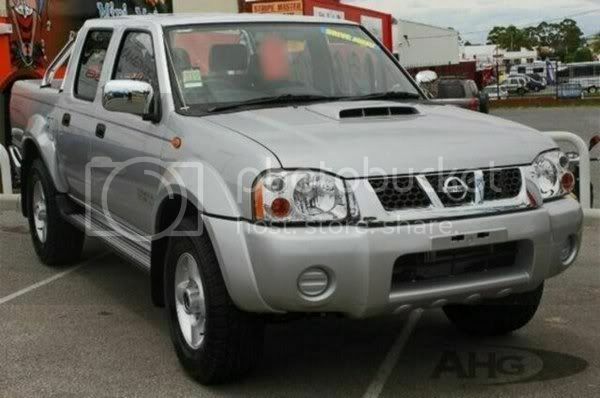 Sorry to be bringing back this thread but I too want to do the Navara bumper and grill on my 2001 frontier. Aside from the bumper and grill, will I need any extra mounting brackets? How many do you guys want ? 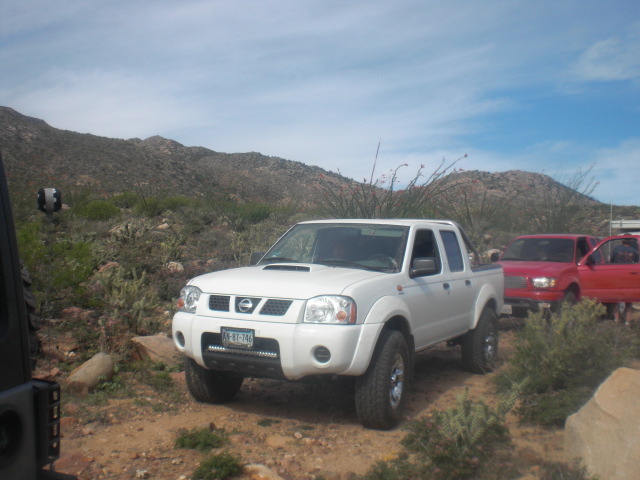 Im 1 hour from Nissan dealer,Ensanada,Mex. Also have home in SoCal. There maybe aftermarket parts,or used (big maybe on that). Not a big deal to swap bumper/grill.As I see Gen 1 U.S. trucks here,with what you call Navara(In Mexico its called Frontier or mine NP300) converted. How many?? Well, that depends, how much do they cost?? I like the set up of the silver one pictured above. Definitely separate pieces, as the white one pictured looks to be a one piece bumper/grille that I'm trying to get away from. The white one pictured is my truck.They are all separate gill and bumper cover.Will not work with old type fenders/headlights/fender flares/ I think U.S. frontier 01/04 is compatible.What ever year your frontier has same headlight assy as mine will work. So I think your out of luck,unless update your truck.To 01/04 frontier. The grill is one piece,you could cut out the webbed part.Bumper cover is one piece.Same deal you could cut out bumper grill,fab your own.There is only one part slight different.Bumper cover flares on the side,dont have pockets on the edge.The flares on D22 are smooth.Don't think that would matter.